Cantaloupe is not my favorite fruit, but it IS my least favorite. However, I’ll eat anything if it comes with fresh mozarella and basil. 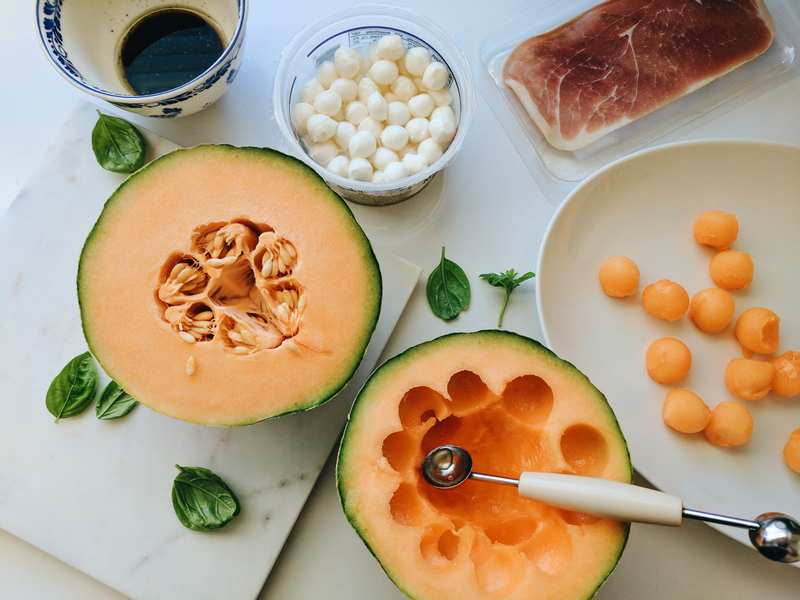 I used a melon baller to scoop out the innards of two cantaloupes onto a platter. 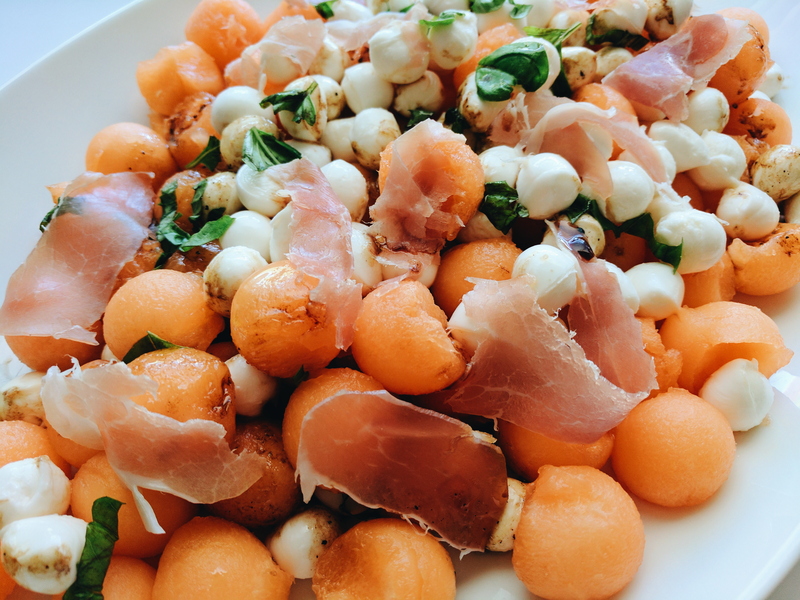 I added a container of perlini mozarella balls. 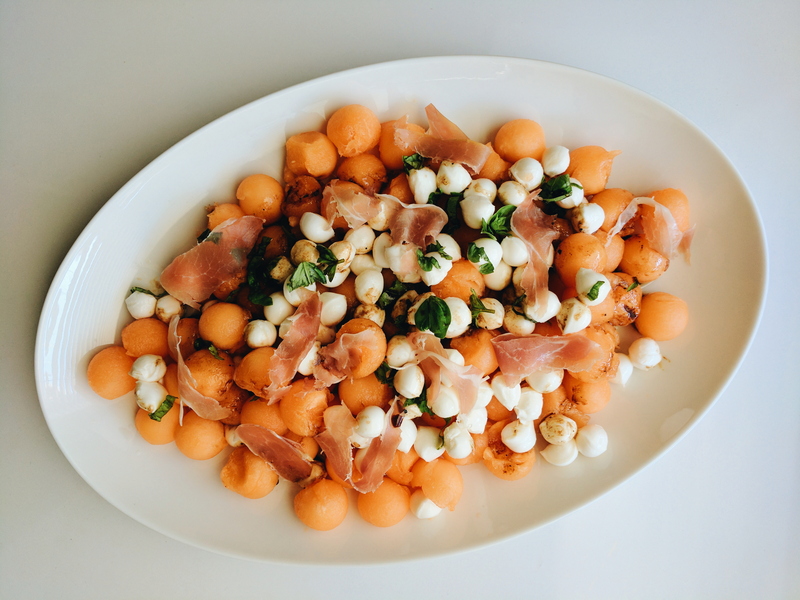 The theme of this caprese is balls. I added shreds of prosciutto and fresh basil to the mix. To make the vinaigrette, I whisked together some olive oil, balsamic vinegar, honey, salt, and pepper. I tossed together all of the ingredients and let the flavors meld in the fridge until serving time. Cantaloupe is the worst, but this caprese is not.